For several years there are few mobile phone manufacturers able to surprise users. Even Apple, famous for all its innovations, introduced the iPhone 7 just without major changes from its predecessor. For this reason, "unexpected" would be the most appropriate term to define the concept developed for the Xiaomi Mi Mix (a smartphone without frames in three of its four sides), not because no one had it in mind previously, but because it comes from one of the most active companies of the moment, which this week also presented the expected Xiaomi Mi Note 2. 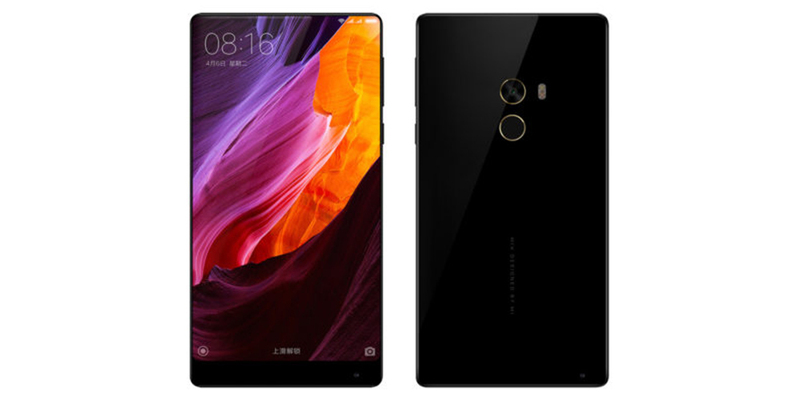 The Xiaomi Mi Mix takes advantage of this novelty to be a large smartphone (designed with the help of designer Philippe Starck), protected by a cover made entirely of ceramic and a 6.4 inch screen occupying more than 90% of the visible front surface of the cell phone. The device is available in two different configurations: the first offers a Qualcomm Snapdragon 821 processor at 2.35 GHz, 4 GB of RAM and 128 GB of storage space, while the second provides 6 GB of RAM and 256 GB of internal storage, plus finished in 18 karat gold around the camera and fingerprint sensor located on the back. Speaking of cameras, the back has a resolution of 16 megapixels and video at 4K, and the front lens is 5 megapixels (at the bottom). The battery has 4400 mAh with support for Quick Charge 3.0 technology. But the surprises do not end with the disappearance of three of four frames: if Apple has decided to remove the audio jack of 3.5 mm, Xiaomi has taken the classic headset to listen to the calls. These can be heard now due to the use of ceramics, which transmits sound to the ear without the need to use speakers. The Mi Mix will be released in the Chinese market on November 4; 4 GB/128 GB version will go on sale at a price of ¥ 3,499 (about € 475), while the starting price of the version with finished in 18K will be priced at ¥ 3999 (about € 540). "Awesome" would be the most appropriate term to define the smartphone designed by Xiaomi, it still costs less than most high-end phones in the market; so it is difficult not to see it become as a commercial success.